For those of you who live under a rock, Shark Week is a week long TV programming block put on by the Discovery Channel. Usually occurring in mid-late July or early August, it features entirely shark-related programming. Everything from great educational documentaries to completely ridiculous events such as Micheal Phelps racing a Great White. So what does a blog about rotary vane actuators have to do with Shark Week? The answer lies with the good people at MythBusters. 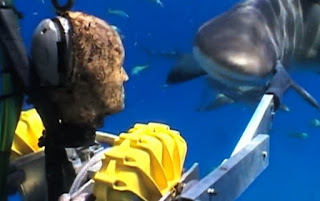 Out to prove (or disprove) the long-standing theory that punching a shark in the nose will scare it away, host Jamie Hyneman had to design a robotic shark punching machine that would deliver a powerful punch, similar to one that a real human being would deliver. 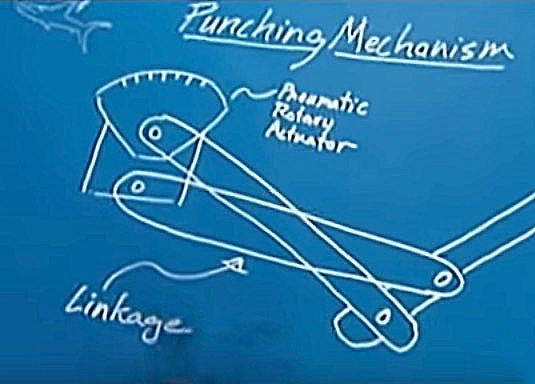 As they have in a past MythBuster episode, the MythBusters team turned to Kinetrol for the crucial piece of equipment - the Kinetrol pneumatic rotary vane actuator. 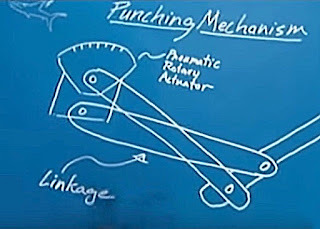 The result was an underwater "Rock 'em Sock 'em Robot" machine with two arms, each powered by a Kinetrol Model 07 Actuator.